As the winter is slowly approaching I find that a well-organized wardrobe, loaded with warm clothing is essential. Here in Scotland the weather can be very cold and rainy and can actually change every 15 minutes. I already had an unpleasant experience when my old winter jacket wasn't warm and waterproof enough and couldn't resist the rain, so I had to spend a whole day in university soaking wet and freezing, which, of course, led to me having a cold afterwards. 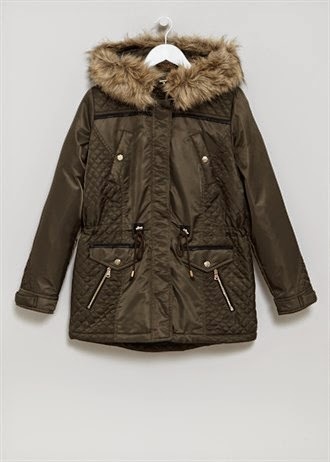 Therefore, I had to go and look for another winter jacket, and luckily I found the perfect one: the faux fur lined parka from Matalan. So far, I have never been to Matalan, but I really liked it after my first visit. 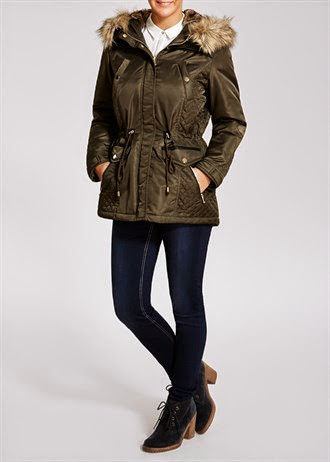 There are many fashionable items on affordable prices, so I recommend that anyone who is looking for good looking clothing give it a try. To go back to my jacket, there are a couple of things I like about it. The colour is amazing and it can easily be combined with many things. I avoid buying black/ grey jackets because everyone tends to choose those colours for winter time and it's depressing in a way. The faux fur lining on the hood is very fluffy and can easily be removed. The pockets are big enough and can be closed with a zipper. The jacket is actually very warm and waterproof. I've already tested it, and I can't think of a better test for a jacket that British weather. 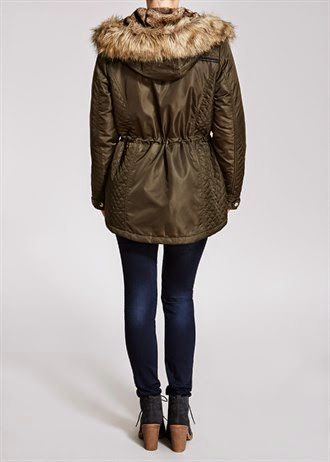 The parka can be buttoned around the neck, so you can actually go out without wearing a scarf. Thank you veru much for reading. I wish you all a great day.